Very interesting article! One of the more difficult critiques that I hear from people about trying to feed a family on WAPF principles is the high cost of quality foods. 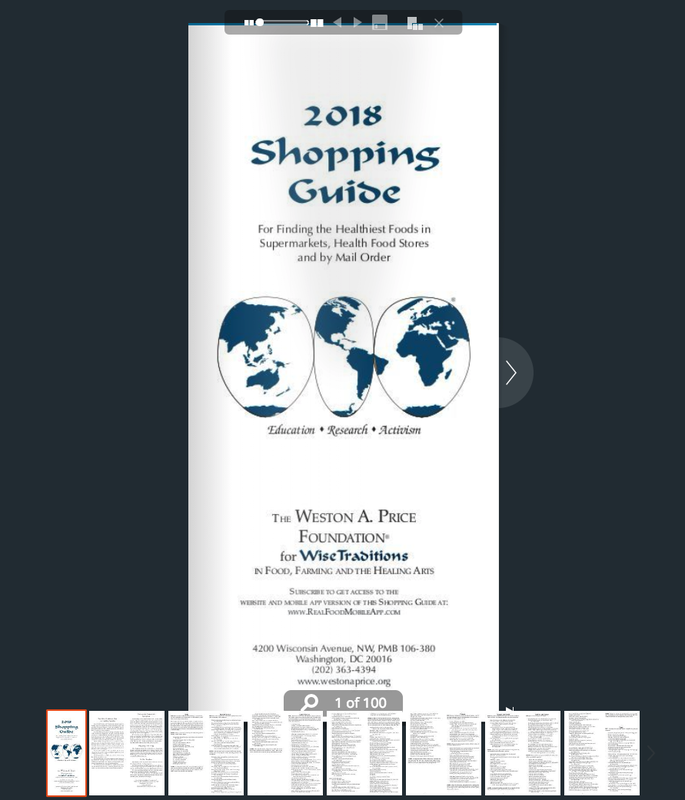 In answer to that, I have always pointed out to people how (for example) the WAPF Shopping Guide includes Spam as an acceptable food. No one is crazy enough to really think of Spam as a health food, but economic realities must be faced in order to get some sort of animal fats into the diet. Your idea about shopping at the Big Box Stores is another fabulous way to work with those economic hardships. I understand that people need to do what they need to do, but I would suggest favoring Costco over Sam’s Club, if possible. I’ve never even heard of BJ’s, but Wal-Mart / Sam’s Club is a hideous blight upon the earth. Those wonderful farmers who are producing foods for them are probably getting low-balled on the deal so that Sam’s can get a better profit margin. In contrast, Costco is actually quite a responsible company. Try googling “social responsibility report Costco” and you will be pleasantly surprised! A former Costco exec started the first 100% organic fast-food restaurant in the U.S.–The Organic Coup. These are people who deserve your support, when you have a chance to show preference in your Big Box shopping. My two cents, anyway! Thank you for sharing your viewpoint Jim: I agree, Costco seems to be the best of all these companies, and I have no problem purchasing from them. And yes, I completely agree with you that good quality needs to be affordable to all. Sometimes that is possible from the small family farm, and sometimes it just isn’t. I do hope this turns around in the future, but don’t hold out a lot of optimism in that regard. Aldi’s, not a Big Box store, sells 100% grass-fed organic ground beef for $5.49/lb. This is an excellent value and my go-to source for ground beef. This is a great find! Also, organic butter (I always tell people to save their good, pastured raw butter for sourdough and vegetables, and cook with store-bought organic). I haven’t found anything else there, though. They do have “organic”, but it is mostly processed foods that my family does not eat and I can not recommend. Besides the things you listed, our Cosco also carries, organic raw honey, organic maple syrup, and Daisy Sour Cream. It also carries organic sugar (my husband has to have sweet tea made with sugar), organic dried fruit like bags of dried blueberries, a great deal on raw nuts (although they are not organic). I know that products vary from state to state. The Portland, Oregon Cosco carrieds a great locally made organic catsup that is the best I have ever tasted, but they do not carry it here in Texas and I would have to order it from Amazon which is much more expensive, that buying it there. And I find new organic offerings at our store each time I go. It saves me lots of money. Yes, you are right! Selections change from time to time, and different regions carry a few different things. Nearly every time I go into Costco I find a new item or two to grab and take home! My store now has organic maple syrup again, and the organic “raw” honey . I’m sure it’s not as raw as we might like, but it’s a far better option than the other. I’d love to try that catsup, but look for my own recipe in a future article! Thank you “motherhen” for this much appreciated info. This is an absolutely fabulous resource! Myself and many friends who often ask me how to budget for nourishing foods for their families, will greatly benefit! Thank you for your diligent research, hard work, and this great article! You are welcome Miranda; I’m glad you found this helpful! I’m a “newbie” in terms of starting the WAPF plan so this information is helpful, especially as it pertains to Coscto. I’d love to see an update…perhaps others can chime in. I have bought the wild blueberries and Kerrygold butter, as well as Kirkland coco oil. I haven’t really investigated the fresh/frozen beef, fish or chicken there yet. (I’ve been buying Don Lee farms chicken and grass fed burgers at Costco…I know…not so great! My boyfriend and I are on a tight budget so we’ve typically bought these.) We liked the Trident Wild Salmon burgers until we saw the types of oil they’re cooked in….too bad as they were tasty otherwise. The cheeses seem quite expensive but will check again, along with fruits and veggies. I love shrimp but given the toxicity, I don’t buy anymore and don’t care for mussels or scallops. I’m in the Charlotte, NC area so look forward to hearing from anyone who has updates on products, especially near me. I’d love to hear about healthy snacks/crackers too. Thanks again for this helpful info!